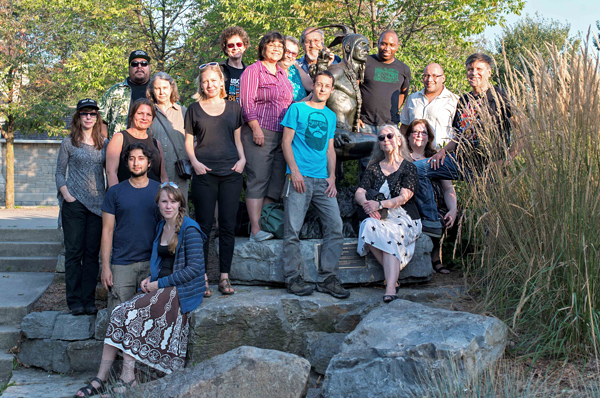 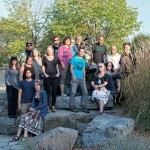 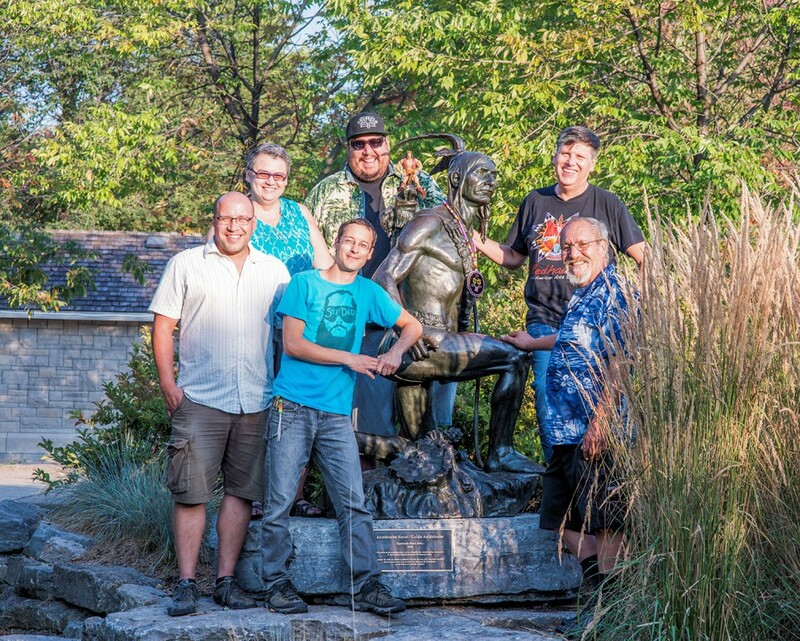 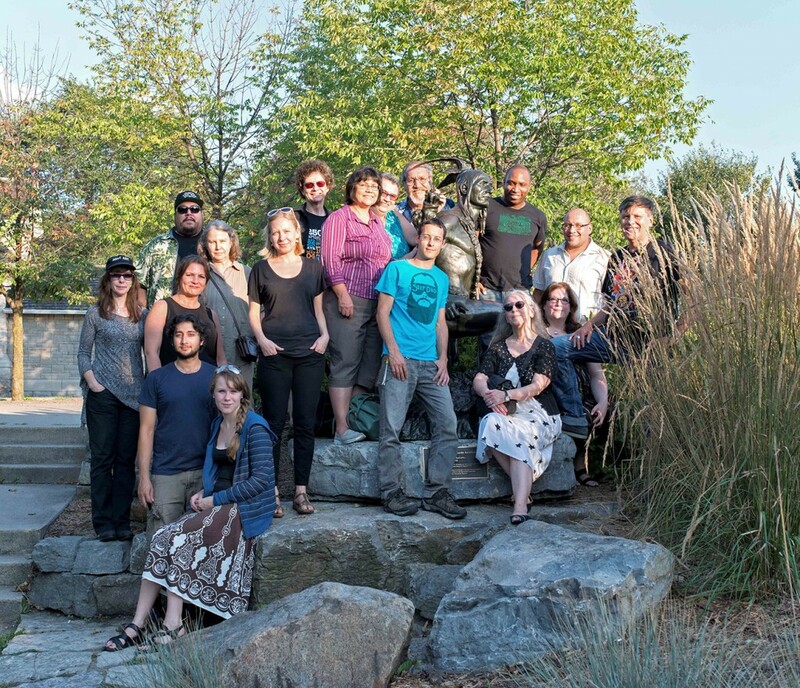 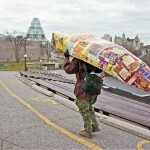 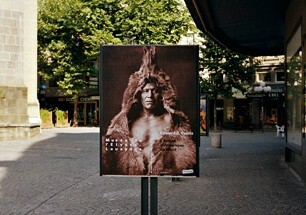 As part of the Indigenous activities taking place in response to Champlain’s anniversary, the indigenous Ottawa collective known as “007” had an exhibition at Blink Gallery, adjacent to the Indian Scout’s location in Major’s Hill Reserve. 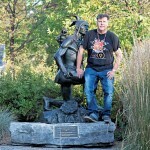 In conversation with one of the 007 member’s, Barry Ace, I suggested we hold a portrait session with the Indian Scout. 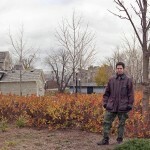 We had five members from the collective and a small group of people who responded to a Facebook announcement. 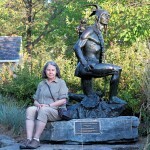 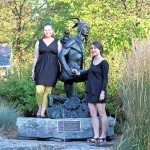 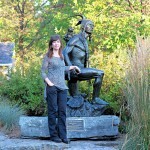 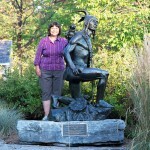 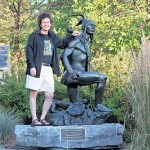 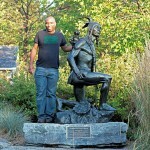 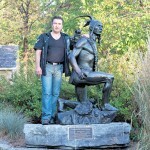 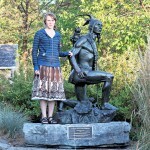 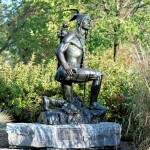 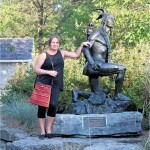 When I first photographed the Indian figure at the Champlain monument in 1992, he had no name or tribal affiliation. 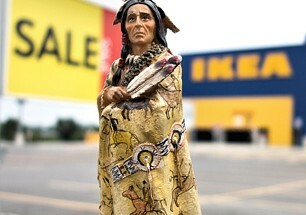 I began calling him the Indian Scout and based it on his body position. 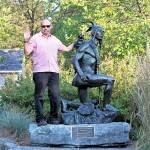 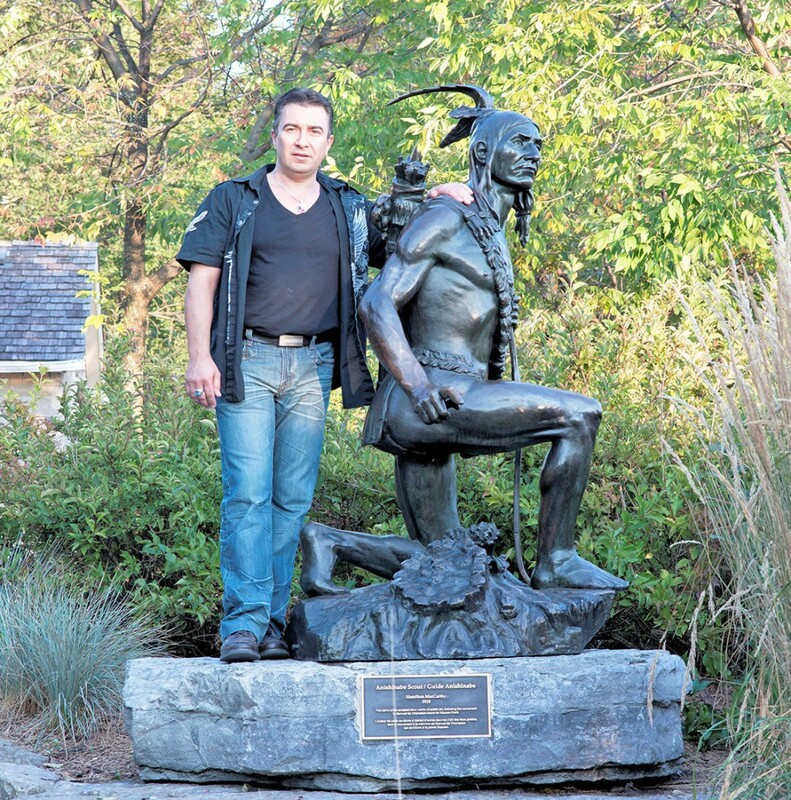 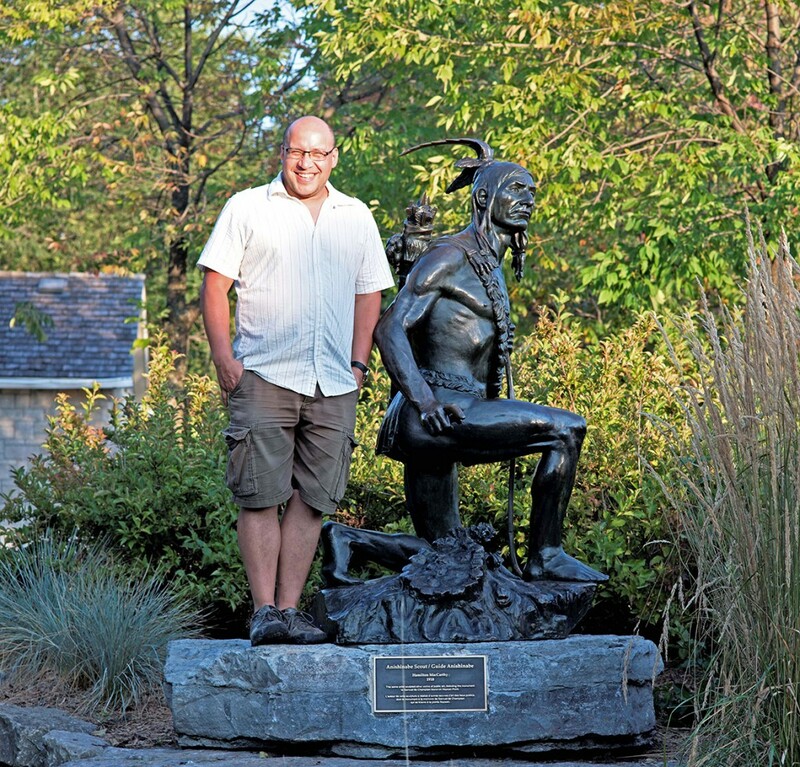 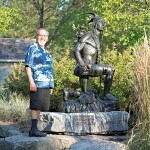 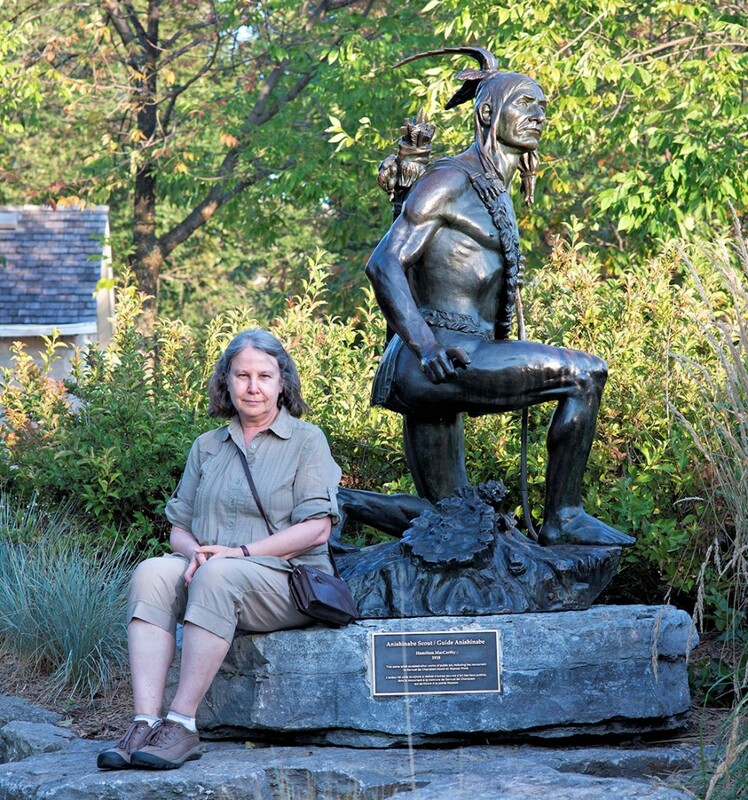 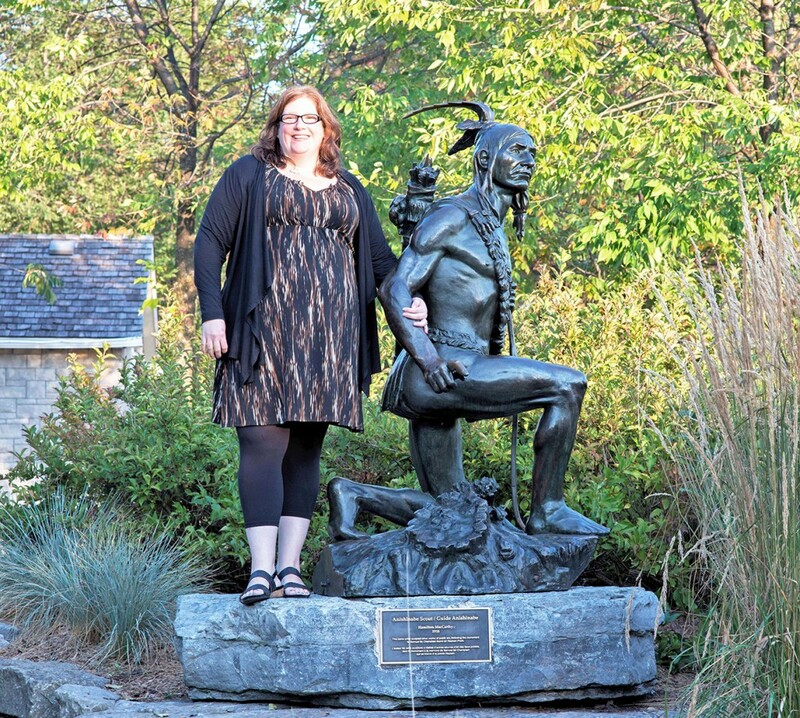 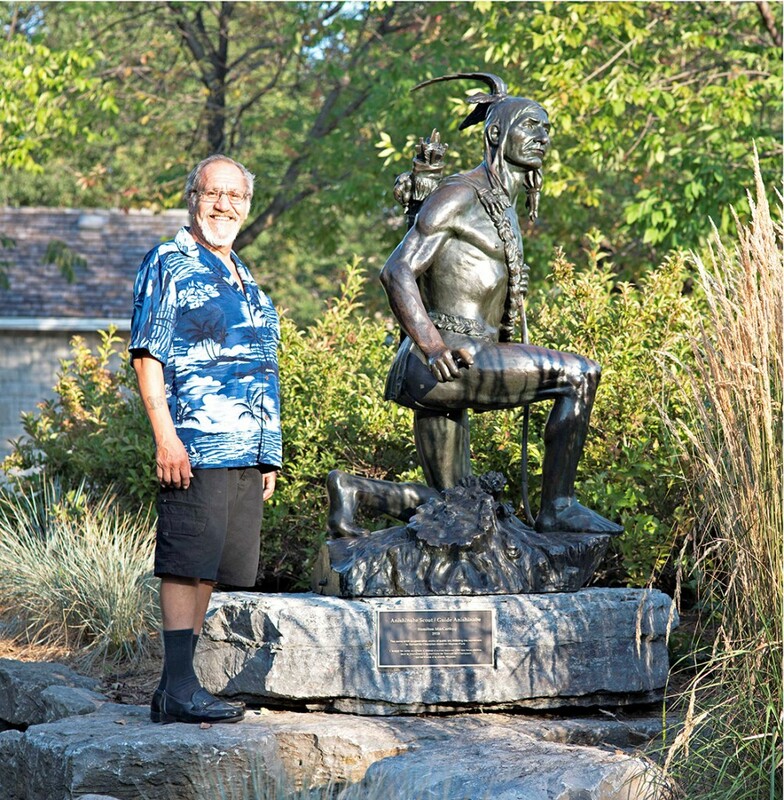 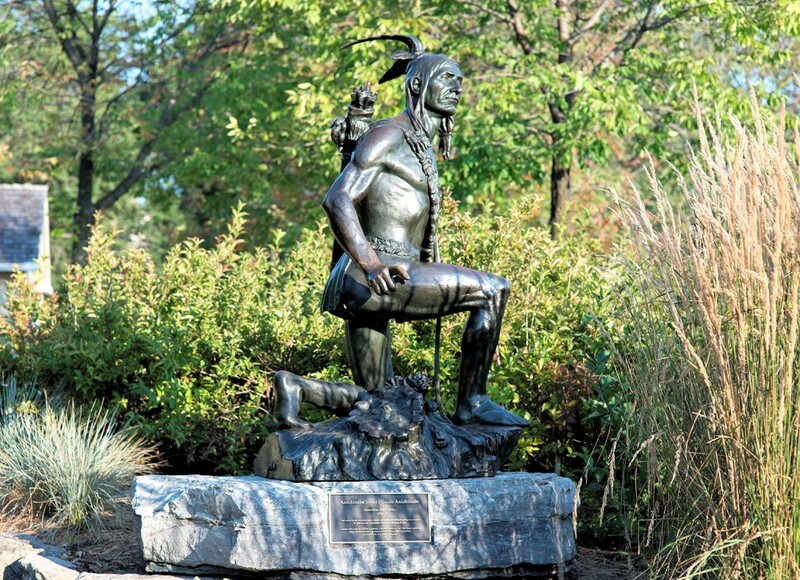 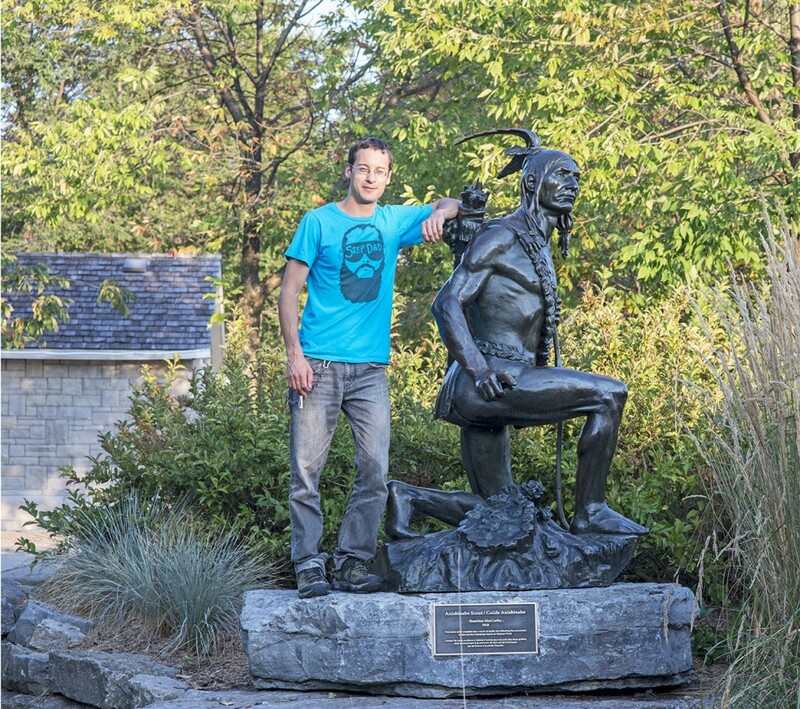 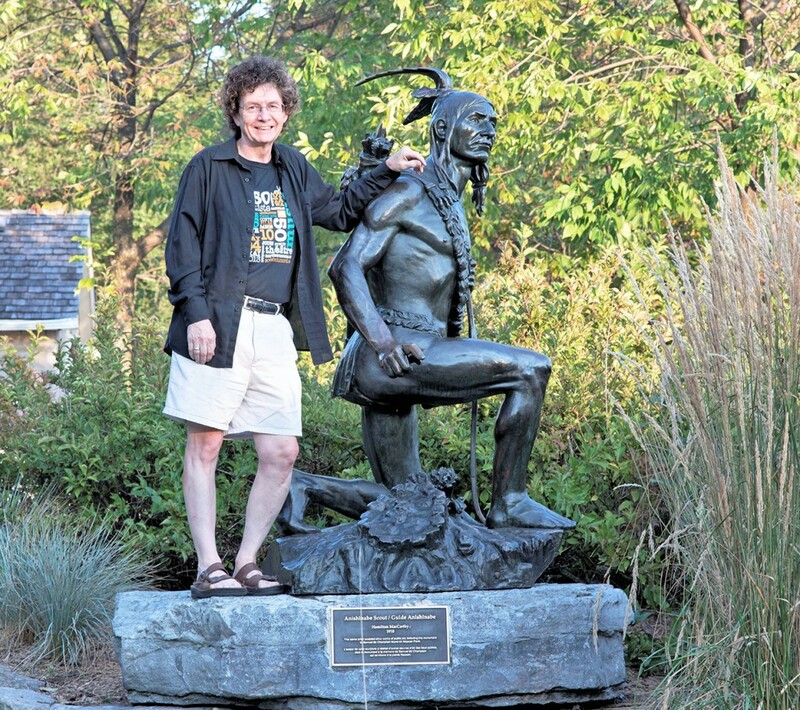 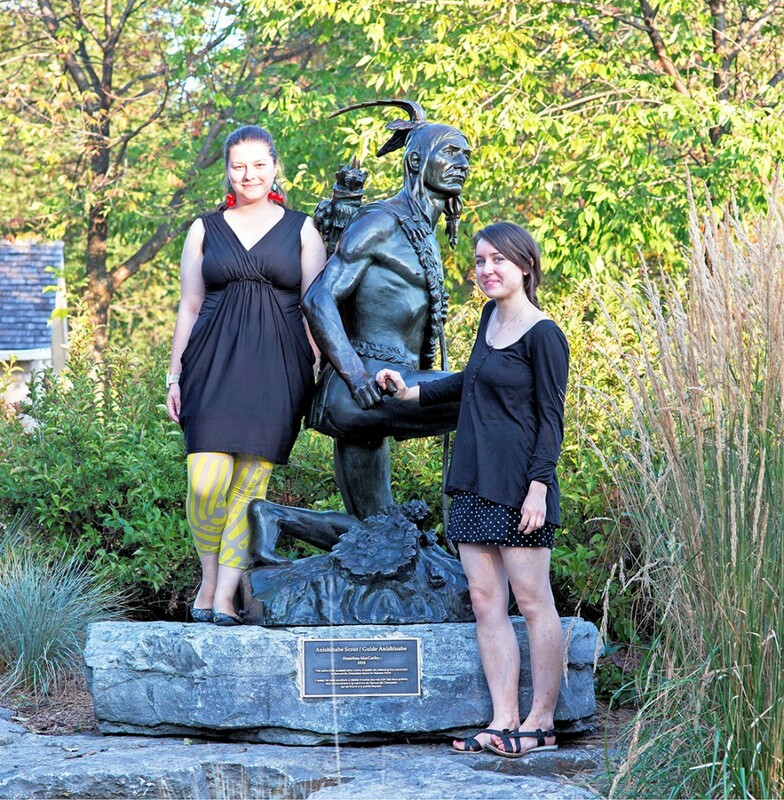 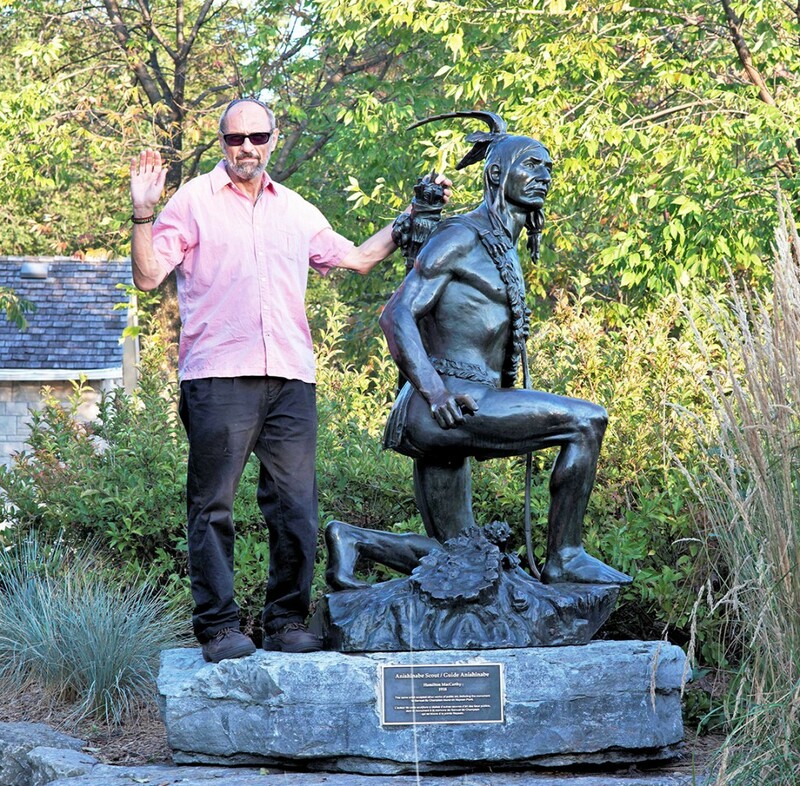 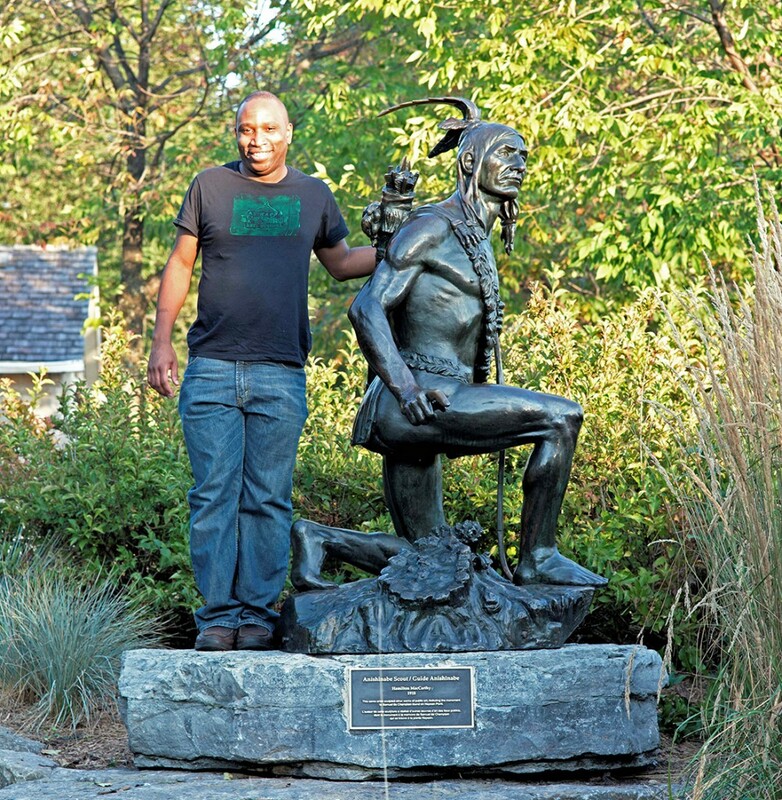 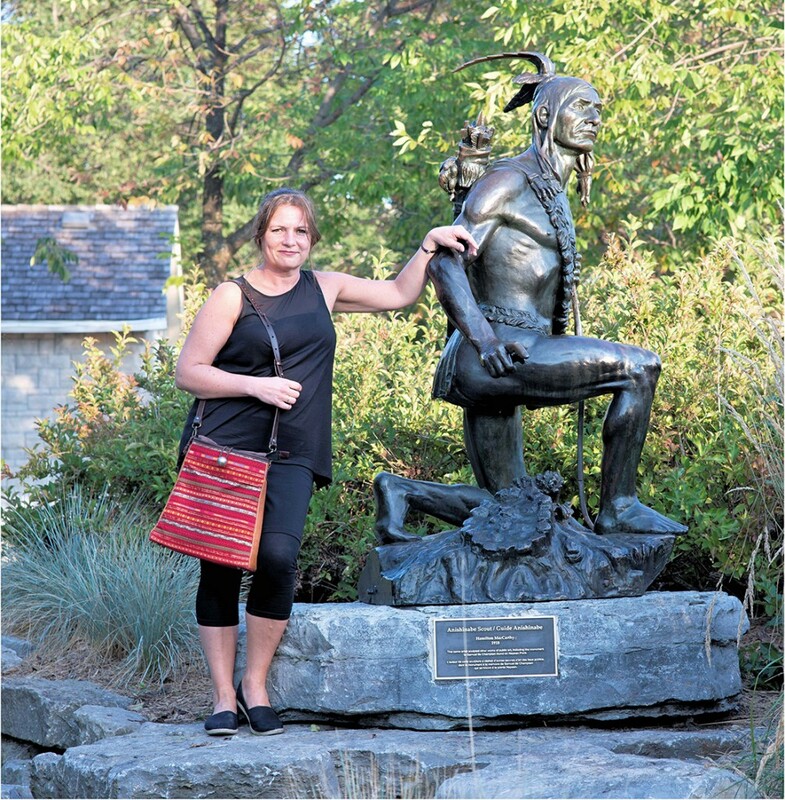 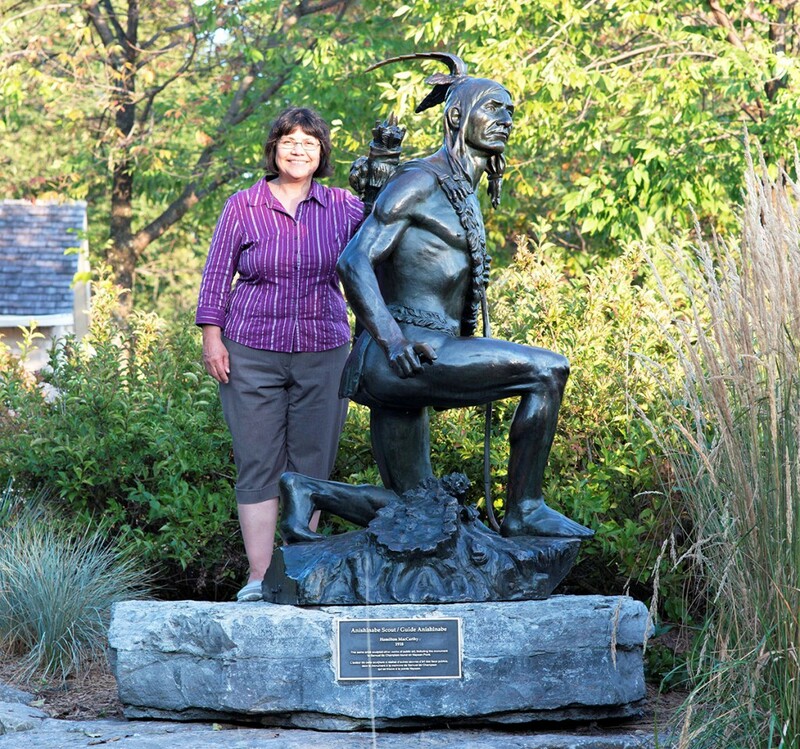 When the Scout was moved to Major’s Hill Park in 1999 he was named “Anishinaabe Scout.” In 2013, the 007 held a naming ceremony and, with the participation of an Algonquin elder, renamed him “Kitchi Zibi Omàmìwininì” (big river people). 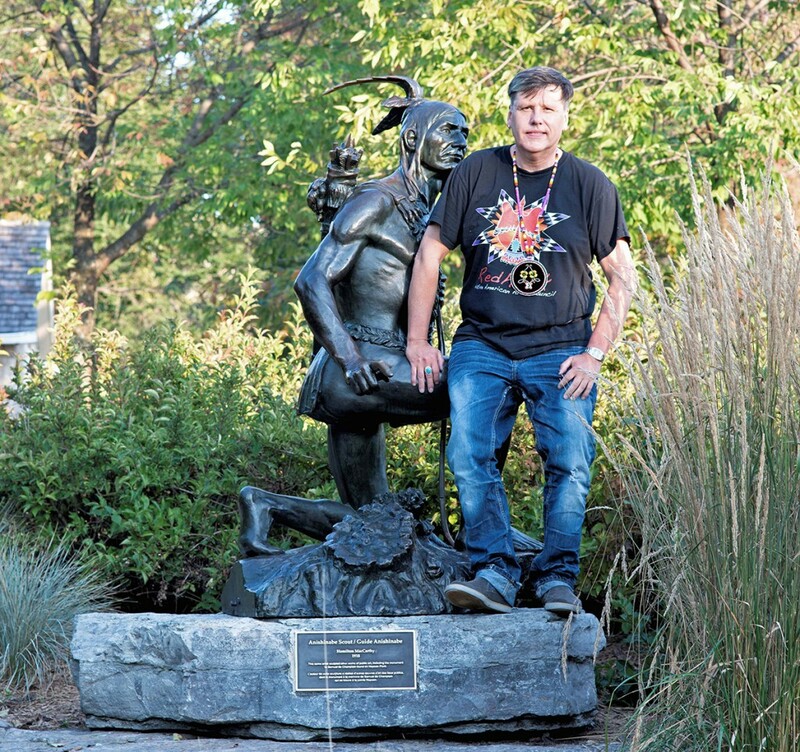 Earlier in the year I had renamed the Scout “No Retreat.” The name was based on a historical reference to a Lakota warrior society that had a special warrior tradition—they staked themselves to the battlefield and vowed to fight to the death. 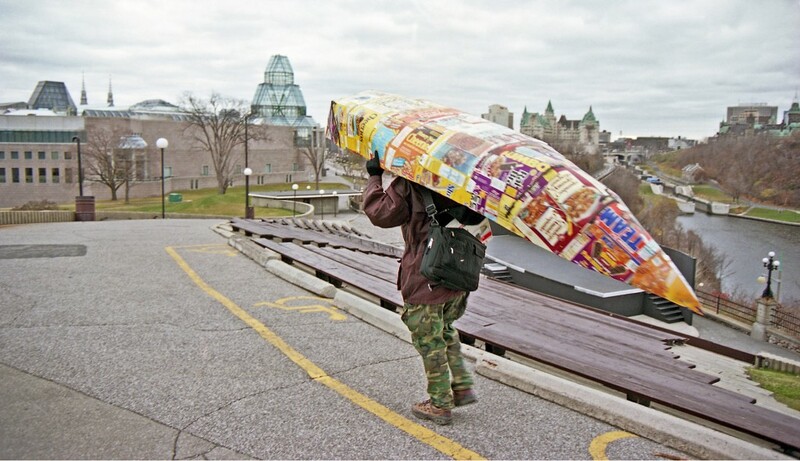 In my mind, Major’s Hill Park, with Parliament Hill looming in the background, represents a battlefield with a warrior who will fight to the death.